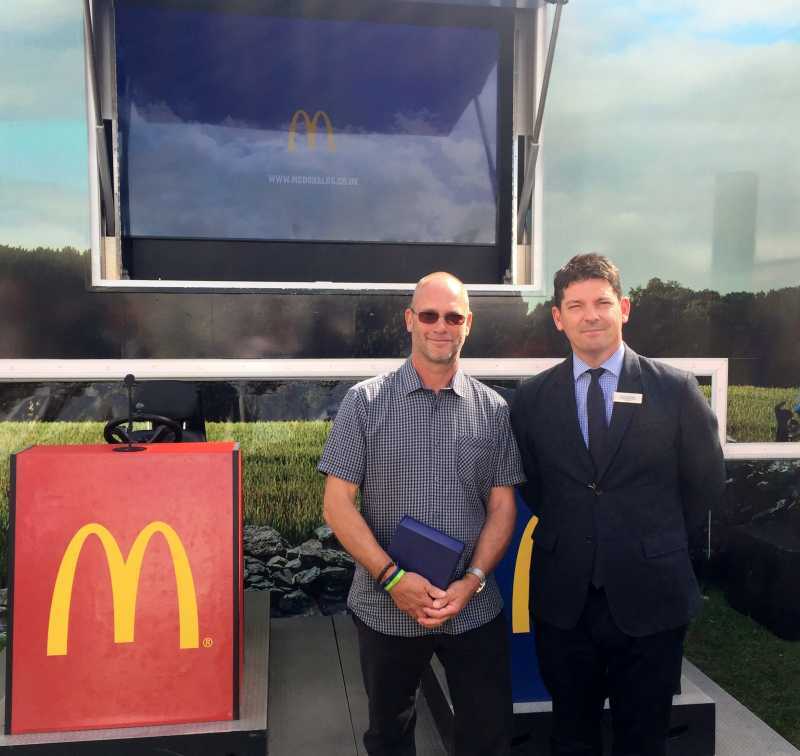 A Norfolk pig farmer has been crowned McDonald’s Outstanding Farmer of the Year because of his commitment to animal welfare. Robert Battersby, a pig farmer from Fakenham, has supplied McDonald’s for over four years. He was chosen from three finalists who all demonstrated 'exceptional sustainable business practices'. Mr Battersby was selected as the overall winner of the award for his focus on pig welfare through insulated farrowing arcs, improved water management systems and staff training and development. These developments have not only helped improve animal welfare on his farms, but also reduced morality rates of his piglets. By careful management and attention to detail, Mr Battersby has lowered antibiotic usage across his business by a staggering 85%. As well as this, his environmental initiatives on the farm has helped improve the environment for wildlife and safeguard water courses. The two other UK and Ireland finalists were poultry farmer, Mathew Philips, and potato farmer, James Harrison. Matthew Philips runs his business alongside a dairy farm and anaerobic digestion plant. He is the third generation in his family farming business and impressed judges with his commitment to diversifying his site so that it works in harmony to improve bird welfare, sustainability and performance. James Harrison is the third generation of arable farmer in his family business. Mr Harrison caught the judges’ eyes with his initiatives to reduce water use on his farms through drip irrigation, improving potato quality. He travels around the world to study processes and techniques, in which he can then take home and share with his colleagues and peers, ultimately driving improvement in UK arable farming.